Superchips Ltd, the world’s leader in high performance automotive electronic tuning, is delighted to unveil an ECU remap for ‘phase 2’ versions of the R56 MINI Cooper S turbo, featuring the revised 181 bhp (184 PS) 1.6-litre turbocharged engine, produced from 1st March 2010 onwards. Superchips has plenty of experience with enhancing the performance of numerous MINI models since 2001. And, given the high demand for customisation parts for these cars, Superchips’ in-house engineers were very enthusiastic to see what additional performance could be safely extracted from the Cooper S’s 181 bhp, 1.6-litre, direct injection turbocharged powerplant. Analysis of the MINI’s Bosch MED 17 ECU, in combination with extensive dyno testing and on-road assessment, have resulted in a Superchips ECU remap for the 181 bhp ‘phase 2’ Cooper S that boosts power by up to 25 bhp at 5444 rpm. Power increases can be seen right throughout the rev range, from as little as 2000 rpm, highlighting the user friendliness of the Superchips upgrade. 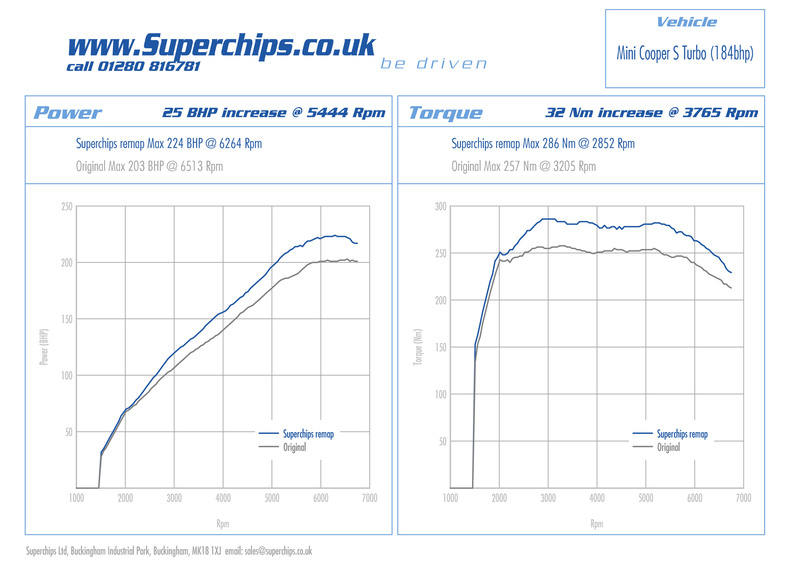 Peak torque increases by up to 32 Nm at 3765 rpm, with gains from 3000 – 6000 rpm, meaning that on the road the Superchips ECU remap noticeably sharpens the performance of the Cooper S, delivering a crisper, more exciting drive. Crucially, if driven in a like for like manner in comparison to the standard car, the MINI’s excellent 48 mpg combined fuel economy is unchanged by the Superchips conversion. Installation of the Superchips ECU remap for the 181 bhp MINI Cooper S models entails customers visiting one of approximately 80 Superchips performance centres, where trained technicians can undertake the remapping procedure. 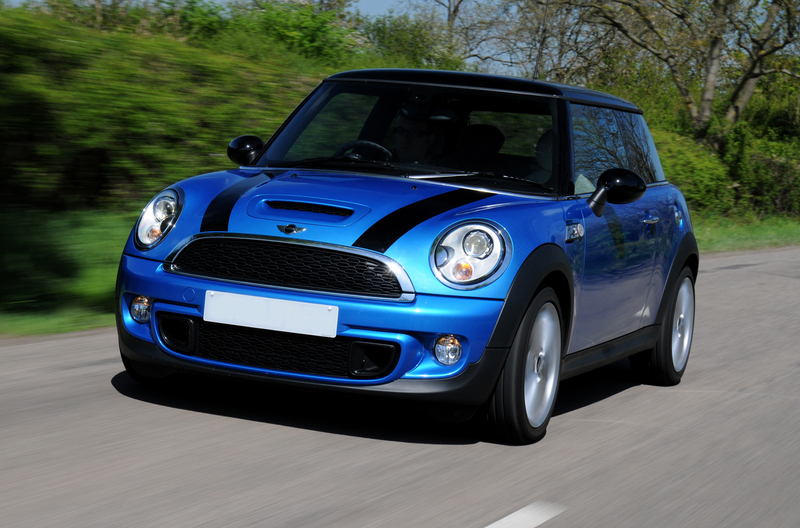 Suitable for all ‘Phase two’ 181 bhp R56 MINI Cooper S models produced from March 2010 onwards, the Superchips’ ECU remap is available now directly from Superchips and its UK dealer network, priced at £455.00, including VAT @ 20%.